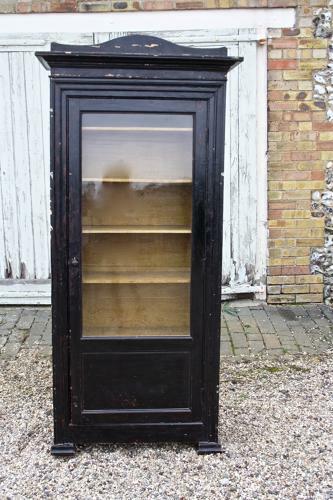 Black painted French vitrine with the lovely original glass. Shelved - adjustable. The shelves have a 'wash' on them which gives the appearance of burr wood. Would look fantastic with plates, etc in..